Felice Herrig is not a fan of Conor McGregor. Both Herrig and McGregor will be on tomorrow night’s (Sat. October 6, 2018) UFC 229 pay-per-view (PPV) card. McGregor will main event the night in a lightweight title bout opposite Khabib Nurmagomedov. Herrig will be fighting on the main card, as she takes on Michelle Waterson. Herrig has been very vocal on social media for her dislike of McGregor. This stems from his antics at UFC 223 media day back in April. McGregor attacked a fighter bus that Khabib was on, throwing a dolly through the glass window. The glass injured several fighters and forced some fights to be canceled. “I think because there’s controversy, and so many people they either love Conor or they hate him. So his nuthuggers are gonna be like ‘How dare you speak of the king like that? Blasphemy! 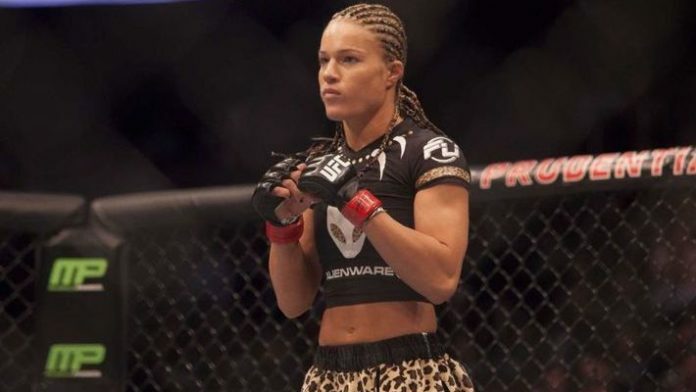 What do you think about Herrig’s comments on McGregor?